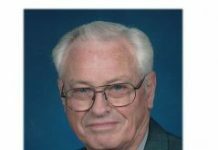 Funeral services for Kermit John Burkhart, 84, will be held at 11:00 a.m., Saturday, April 14, 2018, at the Carter Funeral Home Chapel, West Plains with Pastor Anthony Woods officiating, under the direction of Carter Funeral Home, Inc., West Plains. He was born the son of the late Earl Burkhart and Etta Mae Clark Burkhart, on July 8, 1933 in Swan Creek, Missouri and died April 11, 2018 in West Plains, Missouri. He was united in marriage April 16, 2000 in Couch, Missouri to Mary Frances Mooney. 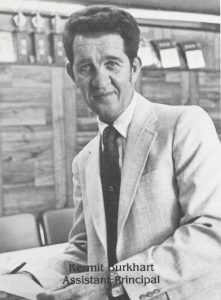 He is survived by his wife, Mary Frances Mooney Burkhart, of the home, Thayer, Missouri; one son, David Jason Burkhart, Branson, Missouri; twin brother, Kenneth Lee Burkhart and wife, Jackie, Peculiar, Missouri, and one half sister, Irene. 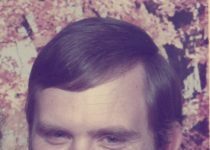 He was preceded in death by his parents; one brother, Dale Burkhart; one sister, Mary Etta Burkhart, and one half sister, Susan. He served during the Korean Conflict in the United States Army in the 27th Wolfhound Regiment of the 25th Division. 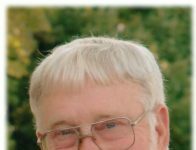 He was a member of the Midway Pentecostal Church in Thayer, Missouri and a long time assistant principal in the West Plains School District. In lieu of flowers memorial contributions may be made to the New Salem Cemetery and can be left at Carter Funeral Home. Visitation will be held on Saturday, April 14, 2018 from 10:00 a.m. to 11:00 a.m. at the Carter Funeral Home Chapel, West Plains. Burial will be in New Salem Cemetery, Oregon County, Missouri, under the direction of Carter Funeral Home, Inc., West Plains.